Wrigley Field is the second oldest stadium in Major League Baseball and has been home to the Chicago Cubs since 1916. Whether your making your pilgrimage to Wrigley Field, or you are simply a Cubs fan purchasing tickets, it would be wise to read our detailed Wrigley Field Seating Chart for seating advice. 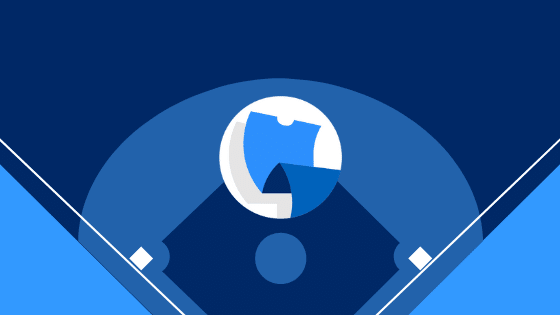 It would also be wise to check out our Cheap Cubs Tickets, since TickPick never charges service fees and saves you an average of 10-15% per ticket. Despite the homey atmosphere made possible by its proximity to residential zoning, the Wrigley Field seating chart remains decidedly confusing for outsiders and regulars alike. For your convenience, please refer to the following Chicago Cubs detailed guide to the seating at Wrigley Field, complete with pictures, plus row and seat numbers. You’ll learn exactly where the best Chicago Cubs seats are, as well as how to avoid the less desirable seating areas. If you hover over the detailed seating chart, you’ll be able to identify the number of rows for any given section. Closer to the field, you’ll find the Field Box, the Club Box and Terrace Reserved seating. The Upper Box and Upper Reserved areas are found above. For all of these sections, rows are given in numerical order. Sections are further split into aisles, with any one aisle containing between seven and 12 rows, depending on its location. Wrigley Field visitors often complain that the ballpark’s seat number setup leaves them confused. Seats are not always marked in exact numerical order, which is why a seat marked 106 can be found alongside a seat marked 6. If you glance at the seat numbers, you’ll notice that the spot farthest to the left is marked 101. The next several seats continue in numerical order (102, 103, 104 and so on). At the center of the row, this pattern changes. In a row with 12 seats, number 106 is followed by 6. From there, the seats continue in reverse numerical order (5, 4, 3, etc.). The seat farthest to the right is labeled 1. For a reduced price, you can elect to sit in the bleachers, which are located on the opposite side of the field from home plate. One of the more popular seating areas at Wrigley Field, the bleachers are marked as general admission, which means that there are no reserved seats. Depending on the weather, the opponent and the pricing on the day of the game, fans will often line up several hours before the game in order to have their pick of the bleacher seating; thus, you are advised to arrive early if you opt to go the general admission route. A 2012 update to Wrigley Park’s seating arrangement and pricing setup included a switch that exchanged the Bleacher Box for the Budweiser Patio. The atmosphere of this section is similar to that found in the bleachers, except for the addition of the unlimited food and drink that is available with the purchase of exclusive Budweiser Patio tickets. Unlike any other seats in baseball, Wrigley Field Rooftop seating is a one of a kind experience. There are few options when choosing rooftop seating, one of which is made possible by a company called Beyond the Ivy. This company has three separate buildings on Waveland Ave for incredible views and great group deals. The other option for rooftop seating is the Wrigleyville Rooftops. This options overlooks right field on Sheffield Ave, and can handle parties of up to 200 people. They have three rooftop venues, the Ivy League Baseball Club, Wrigley Field Rooftop Club, and the Sheffield Baseball Club. If you would like more information on Wrigley Field Rooftop Seating, contact our support line at 845-538-4567. Most seats at WrigleyField offer good views, but there are still a few areas you’ll want to avoid. Many fans prefer to stay away from the lower rows of the Field Box, as these are plagued by heavy foot traffic. Also, in the Upper Deck, the view from seats above Row 16 are significantly obstructed due to an overhang. In the terrace level, it is important to keep in mind that aisle seats row 7 or higher may have obstructed views of the field. The Chicago Cubs Dugout at Wrigley Field is located in front of sections 12-15, and the visitors dugout is located in front of sections 27-32. Unlike the vast majority of baseball parks, the Wrigley Field bullpens are in the field of play, down the first and third baselines. The Cubs bullpen is down the third baseline, and the visitors bullpen is down the first base line. There truly is no one best seating section at Wrigley Field, as individual preferences can make this a very subjective distinction. In general, fans tend to best enjoy seats down the first and third base lines. Fortunately, the small size of the ballpark ensures that you’ll be able to obtain a decent view almost anywhere you sit, be that in the bleachers, the Club Box or the Upper Deck Box. Also, if you are looking for seats in the shade at Wrigley Field, the 200, 400, 500 level sections offer cover from the section above and an awning, respectively. When looking for tickets in the 200 level in the shade, be sure your tickets are not in the first 10 rows to ensure you will be under cover. Have a question about something that wasn’t covered above? Ask in the comments below!